The Kennedy children - six sons and three daughters - were almost all born in Scotland but were brought up in Rotterdam. Charles (1729-58), Walter (1732-75) and Robert (1735-before 1758) went to the Dutch colony of Surinam. Walter also bought a plantation in Tobago when land was made available to British investors in the 1760s. 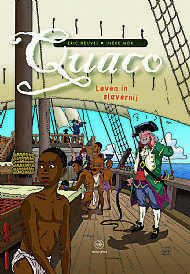 Walter Kennedy's slave Quaco is the main character in the Dutch comic book Quaco: Leven in Slavernij produced by Eric Heuvel and Ineke Mok for use in Dutch schools. It tells the story of Quaco's adbuction in Africa and his life as a slave in Suriname and the Nethlands.